There are currently 3 users and 174 guests online. 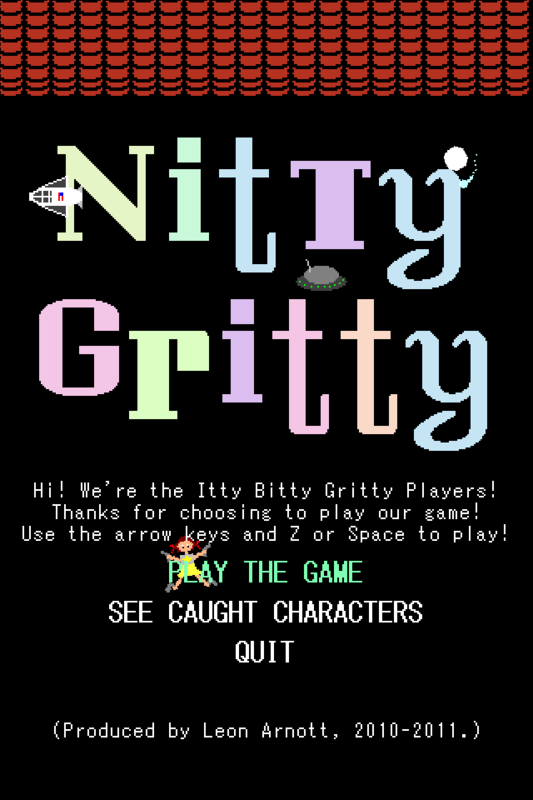 A bunch of colourful sprites that were rejected by various videogame projects have banded together to star in their own game, which they've called "Nitty Gritty". Time to fire up that minigun, Nitty! There are 17 opponent sprites. 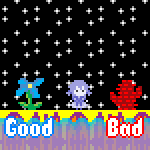 If one of them slips past the bottom of the screen, it may evolve into a new form and reappear later in the game. Exactly 8 of them are capable of evolving... some of them more than once. After the game ends, you see a roll call of all the soundly defeated sprites. EDIT: Updated Oct. 2011 with a title screen, music, and save files. really needs a RESET button. that the end-game roll is kind of unintentionally morbid in a way reminiscent of Virtanen's The Manipulator. I should probably have made them look a bit less dead in the roll. Or the game a bit less silent. I also just realised I plum forgot to write a description for one of the characters. Any guesses as to which one? 12th Street Rag by Euday L. Bowman, sequenced by ??? I got 12. I can't continue. It's sooooooooo much.. I'd be going for hours.. AND I COULD..
Totoally and not correcting that typo.. a favourite.